PLEASE READ THE ENTIRE DISCLAIMER CAREFULLY BEFORE USING THIS SITE. By using this site, you signify your assent to this disclaimer. If you do not agree to this disclaimer, please do not use the site. HOW TO GET BACK IN SHAPE.com is designed for informational purposes only and is not intended to give medical or health advice. As with any new exercise or diet program, you should consult your doctor or health care provider before you begin. Whether or not a relationship exists between our website and the products mentioned, you must assume that the creators of this website have an affiliate relationship or another material connection to the providers of productes, goods and services presented on this website and may be compensated when you purchase from a provider. You should always perform your own due diligence before buying and products, goods or services from our website or from anyone via the Internet or offline. The information, exercises, suggestions, practices, suggested products, research, links and other information contained on this website are not intended to replace the services of your physician or health care professional, or to provide an alternative to professional medical treatment. Consult with your doctor or health care provider regarding the appropriateness of the information for you. HOW TO GET BACK IN SHAPE.com offers no diagnosis of or treatment for any specific medical problem or condition that you may have. Where it mentions the possible usefulness of certain practices or products in relation to certain illnesses or symptoms, it does so solely for educational purposes. Any practices included on the website are, and should, if carried out as described, be beneficial to the overall physical and psychological health of most people. However, we have no way of knowing if they will be suitable for you and your situation. If you have any medical or psychological problems, including, but not limited to, heart disease, high blood pressure, cancer, mental illness, asthma, diabetes, osteoporosis, pregnancy or recent surgery, injury or illness or other disease, you should consult your physician before undertaking any of these ideas or practices. 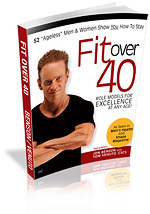 HOW TO GET BACK IN SHAPE.com SHALL HAVE NO LIABILITY WHATSOEVER FOR DIRECT OR INDIRECT, SPECIAL OR CONSEQUENTIAL DAMAGES RELATING IN ANY WAY TO THE USE OF INFORMATION PROVIDED BY HOW TO GET BACK IN SHAPE.com OR ANY OF ITS AUTHORS OR SPONSORS OR AFFILIATES, OR RESULTING FROM ANY DEFECTS IN OR FAILURE OF THIS INFORMATION. This site contains links to other Internet sites. Unless specifically described as such, these links are not endorsements of any products or services in such sites, and no information in such site has been endorsed or approved by this site OR ITS OWNERS. If products or services are mentioned, you must assume that there may be a beneficial or affiliate relationship whether or not one exists. The information, articles, exercises, research, product suggestions, practices and so on contained in the various pages of this web site are for educational purposes only and are not in any way meant to diagnose or treat any illnesses or medical problems you have or think you may have. If you have a medical question or problem, please consult a licensed healthcare professional. Do not delay in seeking medical advice or disregard medical advice you may have received from your doctor because of anything you may have read on this site. The owner(s) of this web site disclaims any liability whatsoever for any of the information, practices, research, product mentions, and so on within this website or links. We do not warrant that the information or exercises or products discussed or offered on this site will be suitable for you. In short, this site is not intended or designed either for medical diagnosis or treatment. If you think you may have a medical emergency, call your doctor or an emergency medical service immediately! As with any exercise program, you should check with your doctor or health care practitioner before beginning a new program. The products and services at or through this site are provided "As Is"; without any warranties of any kind to the full extent permissible pursuant to applicable laws. 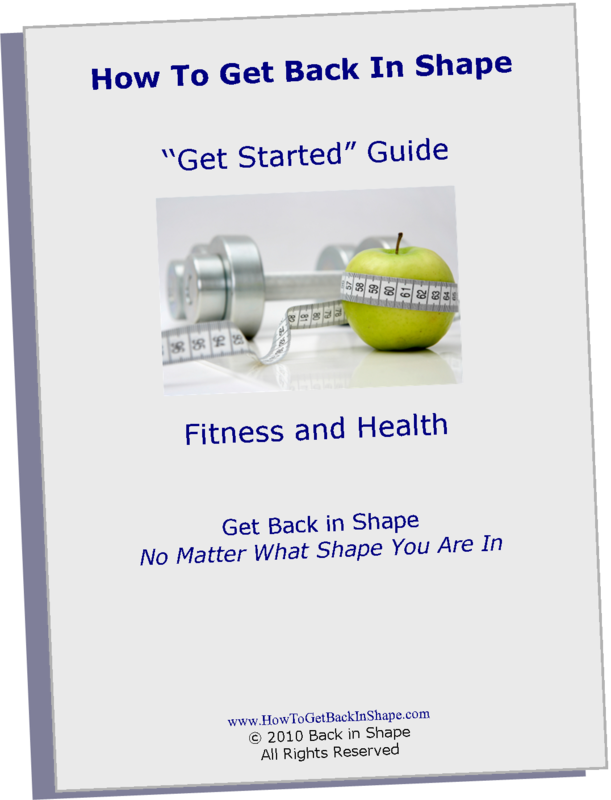 Furthermore, HOW TO GET BACK IN SHAPE.com does not warrant the accuracy or completeness of the information, text, graphics, videos, links, materials and other items contained at this site. HOW TO GET BACK IN SHAPE.com may maintain the site and perform upgrades, fixes or patches on or to the site at any time without notice. 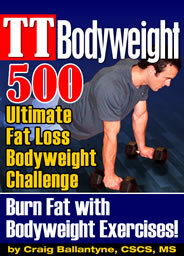 HOW TO GET BACK IN SHAPE.com does not make any express or implied warranty of any kind. Specifically, there is no express, implied or statutory warranty of merchant ability, fitness for a particular purpose, or non-infringement of third party rights with this website’s information and materials.